This essay discusses the roots of American anxieties and fear of imported disease as well as efforts to screen immigrants suffering from tuberculosis. Using a personal experience, the story examines this “loathsome” menace as articulated in successive US Immigration Laws since 1882. America’s persistent fears regarding foreign threats from imported disease has deep historical roots. Much has been written about the health-related aspects of US immigration. As ethicist Arthur Caplan recently reaffirmed, “there is a long, sad and shameful tradition in the United States in using fear of disease, contagion, and contamination to stigmatize immigrants and foreigners.” As I argued recently in a separate essay, our country has traditionally sensationalized “invasions” of foreign infectious diseases, blaming arriving weak or unhealthy “others,” for their appearance and transmission. My hypothesis regarding such strong and negative emotions suggested that they were rooted in experiences reaching back to the earliest conquest and colonization of what was believed to be a pristine and healthy American continent. Imported scourges--notably smallpox—quickly overwhelmed and decimated America’s original adult population exhibiting genetic uniformity and immunological incompetence. In Colonial America, fear, disgust, and paranoia shaped responses to imported smallpox in Boston after 1636, notably the Salem witchcraft proceedings. The birth of a new and free nation--the United States--generated enthusiasm for protecting and improving the wellbeing of its citizens. “Good health” enhanced the quality of life and became an integral part of the new nation’s identity. Moreover, it insured a person’s capability to obtain employment and thus create the necessary financial foundations essential for living independently and successfully accomplishing life’s most desirable goals. For this purpose it was essential that all risks and threats with the potential of impairing wellness be forcefully thwarted. By the nineteenth century, increasing flows of European immigrants led to periodic epidemic of cholera afflicting larger population centers such as New York. New threats like leprosy and plague originated in Asia, blamed on hordes of “uncivilized” Chinese migrants. 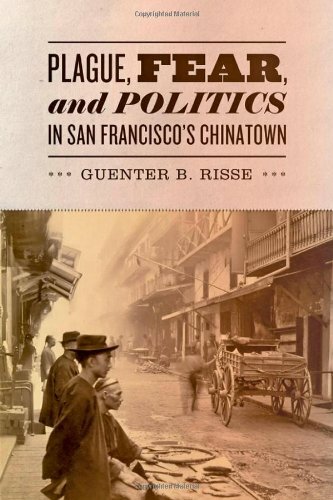 Indeed, as analyzed in my two recent books on San Francisco, the specter of this “yellow peril” drifting towards the rest of the country ignited the flames of American nationalism and racism, spreading panic in California and beyond. On a gray Saturday afternoon on September 20, 1958, the Dutch-owned Liberty freighter, the SS Alpherat, slowed down at the entrance of New York Harbor, stopping next to a cutter from the nearby US Coast Guard Service stationed on Staten Island. Soon a three-man team emerged and proceeded to board our vessel. Their purpose: check all pertinent documentation as well as interview crew and passengers. As one of three “working passengers” traveling from Buenos Aires, Argentina, I was eager to arrive at my final destination in Brooklyn where a friend of my father was expecting to welcome me. The trip had lasted almost a month, with successive stops in Brazilian ports such as Paranagua, Santos, Rio de Janeiro, and Vitoria that had allowed extensive sightseeing, followed by a somewhat perilous Atlantic crossing during hurricane season. Although cargo--mostly bananas--was the captain’s priority, passengers were excused from performing chores; we dined daily with him and his officers and enjoyed excellent food and conversation. This was my first trip to the US. I had graduated a few months earlier from the University of Buenos Aires School of Medicine, and with the help of my father’s business connections, accepted an offer from Buffalo’s Mercy Hospital for a year of postgraduate training: a rotating internship that would start October 1st. After a series of bureaucratic snafus—I had to fill out a number of questionnaires assuring Americans that I was not a criminal, polygamist, revolutionary, communist, or homosexual--I finally obtained a student exchange visa issued by the US Consulate in Buenos Aires and took leave from my family. The timing seemed right: Argentina was in the midst of another serious political and economic turmoil. A general strike of physicians had already led to riots and violence at my alma mater, aggravated by rampant inflation and postal paralysis. Thanks to my father’s preliminary efforts, my two shipmates came to share one of the two cabins while I had the luxury of occupying the other, an arrangement that allowed a greater measure of privacy needed to intensify my study of the American English language. After all, I would soon be interacting with very sick patients and making fateful medical decisions that required a measure of fluency and familiarity with a new vocabulary. One of the passengers was a middle-aged businessman who had periodically visited his brother in Miami and now expected to remain in the US and become his partner. Stressing his Jewishness, friendly and ebullient, he was a valuable source of information regarding American life, although it soon became clear that the “business” was linked to a sleazy gambling and prostitution ring. In sharp contrast, the other younger male protected his privacy and seemed quite reserved. He admitted to be originally from Croatia, but it was not clear when he had immigrated to Argentina. I came away with an impression that something mysterious surrounded his persona, a suspicion that was validated when the Coast Guard officials came on board. Intimidated by their authoritative demeanor and colorful uniforms, we all crowded in a reception area, clutching our travel documents and waiting to be called for personal interviews. To our astonishment, we observed that the Croatian was promptly escorted to the waiting boat; according to his roommate, the man had turned out to be a suspected Nazi collaborator during WW II traveling on dubious documentation. As Alan Kraut in his book about the so-called “immigrant menace” remarked, for most immigrants landing on American shores the first encounter was a physician. While my papers seemed to be in order, one of the officials from the US Public Service began to take a particular interest in my health certificate and conventional chest X Ray. Both had been issued in Buenos Aires and deemed acceptable by the American Consulate. I was aware that the film depicted a small, calcified tuberculous lesion in my upper left lung, the result of an exposure to actively infectious patients. The infection, that made me tuberculin positive, had probably occurred three years earlier during a clinical rotation in Buenos Aires’ most prominent sanatorium, the Hospital Municipal Enrique Tornu. Since 1904 the venerable institution, a vast complex of pavilions and gardens, had not only collected local sufferers of this disease, notably domestics and day workers, but also housed individuals sent from distant Argentine provinces. Indeed, like any other modern metropolis around the world flooded with immigrants, Buenos Aires continued to have its share of contagious residents afflicted with tuberculosis, although the new antibiotic treatments were now drastically lowering their numbers and calming past obsessions regarding the danger they posed to the public at large. For local physicians, my lesion was judged to be common and benign. I had been reassured that in time it would surely be reabsorbed and disappear. While my chest X-ray seemed to attract further scrutiny and unfavorable commentary, I wondered what all this fuss about a solitary and in my mind innocuous spot in my lung meant. I guessed that without prophylactic antibiotic treatment—then uncommon in my country of birth—the question arose: was the disease still active? Then and now, the natural history of tuberculosis is poorly understood. The presumption was that this was still a latent case with live tubercular bacteria encased in a calcified box. Although such containment ruled out the risk of current contagion, there was still a possibility that the dormant bacilli could be reactivated and dispersed throughout the body, leading to a generalized miliary form of infection. At the time of my arrival, section 212 of the Immigration Law of 1952 known as the McCarran and Walter Act stipulated that aliens suffering from leprosy, dangerous contagious diseases and “tuberculosis in any form” could be prevented from landing and detained in an US Immigration facility for further examination. Based on Section 13 of the Act, such people were “potentially excludable” with or without a special inquiry if the medical officer certified that the alien was afflicted with disease without a right of appeal. Unbeknownst to me, tuberculosis had already been successfully employed decades earlier not only to prevent the entry of Mexican workers but also to force their removal. An unfavorable judgment could spell disaster. I suddenly realized that I could be taken off the ship, perhaps quarantined before being repatriated, thus jeopardizing my plans for an internship and residency in America. My future medical career could be in jeopardy; plans for a postgraduate education abroad shattered. Since our skin bears many natural attributes, wrinkles, colors, scars, and infectious eruptions, these features have been employed throughout history as means to identify diseases and stigmatize social groups. The use of “loathsome”—a code word--was deliberate. Readily institutionalized by the medical profession, the term became part of an emotional vocabulary designed to instill aversion and rejection. Loathsomeness implied a broad range of revolting feelings, from physical disgust to moral contempt, fear to outrage and repulsion, horror to odium. Primarily intended to identify acute ailments with hideous skin manifestations, the attribution was also easily linked to moral infringements and deficiencies. Visual “skin reading” thus became the bedrock for the diagnosis of contemptible diseases, although few practitioners possessed the necessary skills for rising to the challenge. Given the stigmatized character of these diseases, most physicians, already warped by moral prejudices, mostly relied on quick visual glances during their clinical screenings, occasionally enlisting additional clinical or laboratory criteria to back up their initial interpretations. In fact, “loathsome or dangerous contagious disease” remained a key criterion for exclusion in the Immigration Act of 1891. Opened in 1892, the Ellis Island immigration station subsequently witnessed the arrival of millions of people, peaking between 1910 and 1914, until its closure just four years before my arrival. Numerous scholars have uncovered personal stories and official documentation related to the medical inspections of immigrants that took place there. For steerage passengers, the “six-second physical” occurred following disembarkation, as men, women, and children lined up single file with their belongings, joining several queues headed by officers from the US Public Health Service. With their experienced eyes targeting facial features and bodily postures, the doctors’ fingers rudely retracted the eyelids of every newcomer, searching for signs of a dreaded disease: trachoma, an ubiquitous infectious condition leading to total blindness. Following the brief inspection, examiners identified and detained those newcomers requiring additional medical evaluation through a system of coded alphabetical letters, written on their clothing using a stick of chalk. Detention and further examinations awaited many. In addition to arrivals with suffering from “loathsome and dangerous contagious disease,” the Immigration Act of February 1907 added a separate category for exclusion: ”persons afflicted with tuberculosis.” In fact “pulmonary tuberculosis” had already been classified as a “dangerous contagious disease” in the Classification of Excludable Medical Conditions in 1903. The new focus on an old and lethal scourge at the turn of the 20th century, previously referred to as “consumption” or the “wasting disease,” reflected greater medical and public awareness of its presence among arrivals from North and Central Europe. Affecting all social classes but predominantly infecting poor urban dwellers living and working in overcrowded environments, pulmonary tuberculosis had acquired nearly epidemic proportions, but its manifestations remained hidden from sight in sharp contrast with more spectacular disfiguring human foes like smallpox and leprosy. Nicknamed the “white plague,” the silent disease previously considered hereditary, lurked in unventilated tenement houses and sweatshops. Stereotypical among its New York victims were Jewish tailors. A key factor driving the expanding category of excludable immigrants was the belief that if allowed to enter the United States, they would “likely become a public charge.” The country needed healthy laborers capable of tolerating the physical challenges of a rapidly industrializing world. Eugenic considerations played an influential role based on earlier hereditary prejudices. Racially constructed notions of debility, notably applicable to “rice-eating” Asians, favored wholesale exclusion. Sickness, especially long-term, could prove disastrous for their job-dependent lives. Indeed, since tuberculosis often turned into a chronic disease, the expense of caring for those admitted to America would be considerable, especially if carried out in newly created specialized facilities: sanatoria. To this day, prejudice and stigmatizing loathing continues to be a key component of our invasive screening procedures carried out In the name of public health and safety. Fortunately my own story had a happy ending. Whether the US Public Health officials subscribed to earlier notions that people from other countries in the Americas possessed greater susceptibility to tuberculosis could not be determined. On the other hand, skilled immigrants--myself included--faced fewer obstacles to enter the US under the McCarran and Walter Act. After a brief consultation, I was finally allowed to disembark with the proviso that I schedule serial checkups with some of my future medical colleagues in Buffalo. More than half a century later, the lonely calcium spot--like a veritable time bomb—still lodges in my lung, occasionally spooking my caregivers. Emily Abel, From Exclusion to Expulsion: Mexicans and Tuberculosis in Los Angeles, 1914-1940,” Bulletin of the History of Medicine 77(Winter 2003): 823-849. American Federation of Labor, “Some Reasons for Chinese Exclusion,” reprinted in US Senate Documents of the 37th Congress, Washington, DC: Government Printing Office, 1902. Diego Armus, The Ailing City: Health, Tuberculosis, and Culture in Buenos Aires, 1870-1950, Durham: Duke University Press, 2011. Barbara Bates, Bargaining for Life: A Social History of Tuberculosis, 1876-1938, Philadelphia: University of Pennsylvania Press, 1992. Susan Craddock, “Tuberculosis, Tenements, and the Epistemology of Neglect,” in City of Plagues: Disease, Poverty and Deviance in San Francisco, Minneapolis: University of Minnesota Press, 2000. Amy L. Fairchild, “Politics of Inclusion: Immigration, Disease, Dependency and American Immigration Policy at the Dawn and Dusk of the 20th Century,” American Journal of Public Health 94 (April 2004): 528-539. Alan M. Kraut, Silent Travelers: Germs, Genes, and the Immigrant Menace, New York: Basic Books, 1994. Howard Markel and Alexandra M. Stern, “ The Foreignness of Germs: The Persistent Association of Immigrants and Disease in American Society,” Milbank Memorial Quarterly 80 (2002): 757-788. A. C. Reed, “Immigration and the Public Health,” Popular Science Monthly 83 (1913): 320-328. Guenter B. Risse, Driven by Fear: Epidemics and Isolation in San Francisco’s House of Pestilence, Urbana: University of Illinois Press, 2016. Nayan Shah, Contagious Divides: Epidemics and Race in San Francisco’s Chinatown, Berkeley: University of California Press, 2001. Elizabeth Yew, “Medical Inspection of Immigrants at Ellis Island, 1891-1924,” Bulletin of the New York Academy of Medicine 56, 1980): 488-510. Newly perceived health risks elicit instinctive and protective emotional responses, mostly anguish, fear, and disgust. Their intensity varies based on a person’s previous experiences, available knowledge about the perceived danger, and efforts by politicians and the media designed to validate, exploit, amplify, or distort the menace. Stigmatization and blame seek to ameliorate anxiety by deflecting responsibility to others, notably foreigners. Earlier it was someone from Haiti that supposedly brought HIV/AIDS to America. China was responsible for spreading SARS and the avian flu. More recently, in 2014, a traveler from West Africa introduced Ebola fever. Courtesy of the “girls” and even “boys” from Brazil, dread of another contemporary introduction, the Zika virus, sustains our current national fear mongering. A further historical example is quite illustrative. The bizarre incident involving Charles C. O’Donnell’(1835-1912) and his procession with a Chinese sufferer of leprosy through the streets of San Francisco in the fall of 1878 was recounted elsewhere (Historical News Network, February 1, 2016). It remains a stark example for stirring up strong anti-immigrant feelings through exposure to visibly sick foreign individuals pronounced extremely dangerous to public health. Using terror to mobilize like-minded people and create panic, the macabre parade led to O’Donnell’s arrest at the Palace Hotel. Yet, following his release, the racist doctor turned politician continued to display his xenophobia and obsession with both smallpox and the “scaly disease.” His nativist rants, including the charge that China had already conquered California and its elected officials were receiving their orders from the Emperor in Peking, contributed to the eventual passage of the Chinese Exclusion Act of 1882. Practicing medicine at the edge of Chinatown since the Gold Rush--his office was located on 704 Washington St at the corner with Kearny--O’Donnell boasted to treat families, notably women and children. Originally from Baltimore, his medical credentials remained murky and he often felt professonially threatened, accused of being an abortionist and quack. Undaunted, O’Donnell frequented the streets of the Chinese district, hunting for sufferers of smallpox and especially leprosy “like a hog rooting truffles” as quoted by a New York Times reporter. Detecting and confronting lepers with highly visible lesions, this self proclaimed healer took advantage of their despair and apathy. Pretending to offer a remedy—lumps of pork fat—O’Donnell claimed to “own or seize” his “patients.” Glimpsed from Chinese practitioners, his rationale for employing this popular ethnic food article was supposed to act homeopathically. he blamed those who submitted to his advice for any lack of improvement. In the summer of 1884 O’Donnell unveiled a new project to spread his fear mongering beyond San Francisco: a trip by train across the country in the company of two Chinese afflicted with advanced symptoms of leprosy. The main purpose was to exhibit them at anti-immigration rallies organized during successive stops in St Louis, Cincinnati, Indianapolis, Chicago, New York, Philadelphia and Baltimore, ending in Washington DC. At the nation’s capital, these unfortunate individuals would be brought to the Capitol building and handed over to US Congress members debating immigration legislation. The ostensible reason for the transcontinental show was O’Donnell’s determination to enlighten East Coast dwellers and authorities about the horrors of foreign leprosy and risks of admitting further “coolies” suffering from despicable diseases. Asked O’Donnell: “Who gave us lepers for our companions, who installed yellow harlots for the avowed purpose of maintaining gambling dens and opium decays?” Public officials, mostly arrogant and ignorant “Eastern monomaniacs” were at fault, allowing Chinese “harbingers of disease and couriers of death” to freely roam the streets of many American cities and towns. To achieve his goal, O’Donnell requested a special boxcar to house the sorry victims of this disease, with a partition for an exhibit of photographs taken from other sufferers similarly diagnosed. For him the “heathen Chinee” were like domestic cattle, useful specimens for scientific experimentation and exhibition. However, citing potential risks of contagion and violation of interstate commercial regulations, the railroad companies refused to transport the sick Chinese in spite of repeated threats from the doctor’s rowdy supporters who wished to force the issue by creating a human barrier around the travelers. To avoid further clashes with police, O’Donnell decided in late June to start his sojourn without the company of his “scaly pets,” substituting them with a photographic exhibit described by a local newspaper as “rude portraits of a dozen hideously seamed, scarred and swollen faces.” His departure was celebrated with a spectacular procession through downtown San Francisco to the waterfront before taking the Oakland ferry on it way to the train station. Accompanied by two small German bands, an open hack drawn by four horses carried O’Donnell and to their destination, interrupted by a long-winded diatribe speech promoting the destruction of the infidel Chinese. Another supporter, dressed-up as a medieval crusader, sought to symbolize the religious nature of the racist quest, a clash framed between the Christian cross and a pagan dragon, characterized as a “monster of evil omen” spreading its wings. Arriving in New York City on August 1st, O’Donnell sought lodgings at the Grand Union Hotel. Attracted by newspaper advertisements, nearly 2000 persons congregated at Union Square the next morning, looking for a free show and especially the chance to glimpse the “living dead.” When the prejudiced provocateur announced that the mayor had denied a permit for their display and the freight car in which they lived had been diverted to Brooklyn, the disappointed crowd grew restless. O’Donnell was forced to seek shelter in a nearby tailor’s shop. A week later in Washington DC, a largely Black audience of merely 200 idlers listened impassibly at the steps of City Hall as the high priest of ethnic hate delivered the same racist rant without illustrations. On mayoral orders, no exhibitions or delivery of leprous individuals would be permitted. Undaunted, O’Donnell quietly returned to the West Coast. Perhaps the most bizarre trip in the annals of bigotry sustained by fear of a “loathsome” and incurable disease was over, but its high priest of ethnic hate was rewarded: thanks to voters from wards in white working class neighborhoods and waterfront dwellers, O’Donnell was elected coroner of San Francisco in November 1884. Emboldened, he later ran unsuccessfully as an independent candidate for governor of California and in the 1890s repeatedly for mayor of San Francisco. In his History of the Pacific Coast Metropolis (1912(, John P. Young, the veteran editor of the San Francisco Chronicle, called O’Donnell a “malpractitioner.” A brash medical charlatan and political demagogue, he cunningly exploited contemporary fears about the importation of leprosy to further his racist, anti-immigration stance. John H. Boalt, “The Chinese Question,” in Chinese Immigration; its Social, Moral, and Political Effects, Report to the California State Senate of its Special Committee on Chinese Immigration, Sacramento: State Office, F. P. Thompson, 1878, pp. 254-6. Yong Chen, Chinese San Francisco. 1850-1943: A Transpacific Community, Stanford, Cal. : Stanford Univ. Press, 2000. Noble D. Cook, Born to Die: Disease and the New World Conquest, 1492-1650, Cambridge: Cambridge University Press, 1998. John Duffy, Epidemics in Colonial America, Baton Rouge: Louisiana State University Press, 1971. Philip J. Ethington, The Public City, Cambridge: Cambridge University Press, 1994, pp. 322-24. New York Times, Jul 16, 1884, Jul 26, 1884, Jul 29, 1884, August 2, 3, and 9, 1884. 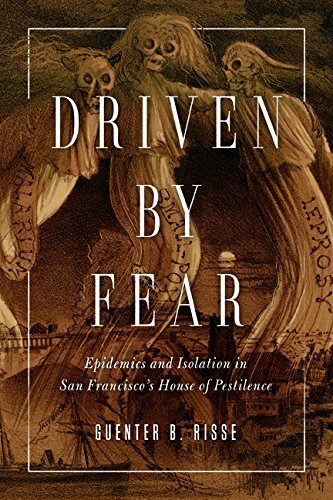 Guenter B. Risse, Driven by Fear: Epidemics and Isolation in San Francisco’s ‘House of Pestilence,' Champaign, Illinois: University of Illinois Press, 2016. Charles E. Rosenberg, The Cholera Years: The United States in 1832, 1845, and 1866, Chicago: The University of Chicago Press, 1962. San Francisco Bulletin, Jun 30, 1884. San Francisco Call, Jul 20, 1884. San Francisco Chronicle, Jul 19, 1884, Aug 4, 1884. John P. Young, San Francisco: A History of the Pacific Coast Metropolis, San Francisco: S.J. Clarke Publ. Co, 1912.